(all images courtesy of the Hawkins team, and all credit to the architects, engineers, contractors and of course Stantiall Studio). 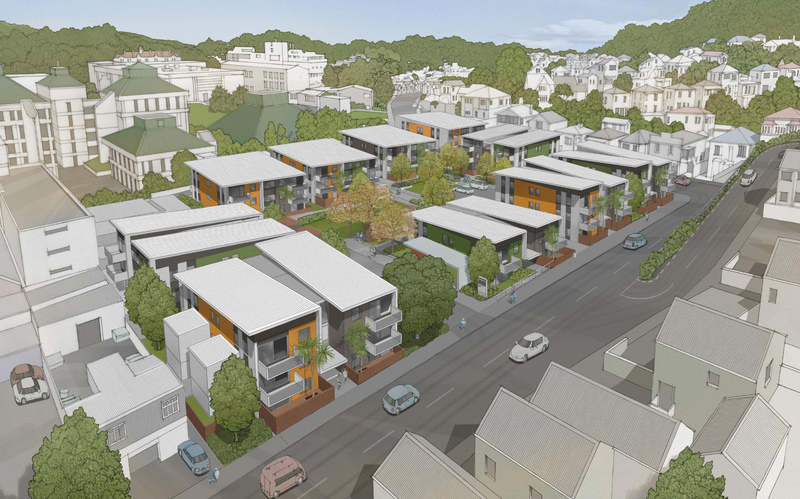 An application for resource consent for the $33 million development, on a large city block bounded by Taranaki, Hopper and Hankey streets, is expected to be lodged before the end of this year. If the application is successful, the existing 1970s Council housing will be demolished. Site preparation work on the new project could start March 2016. 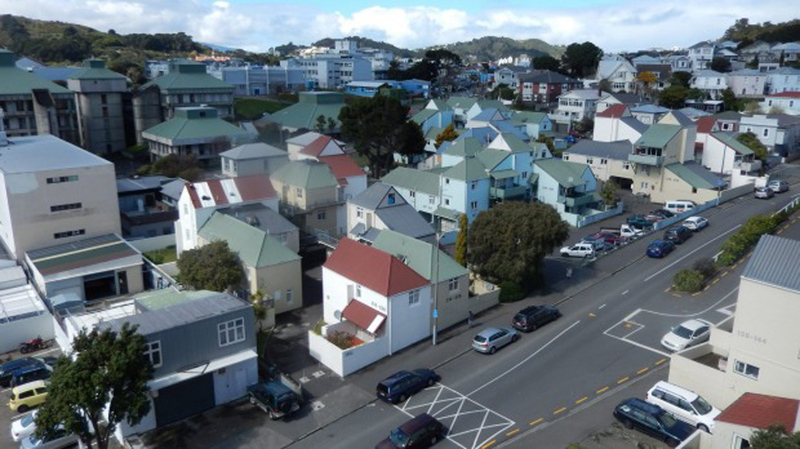 Councillor Paul Eagle, Chair of the Council committee responsible for social housing, says the development will usher in a new era of flexible rental housing for those Wellingtonians most in need. 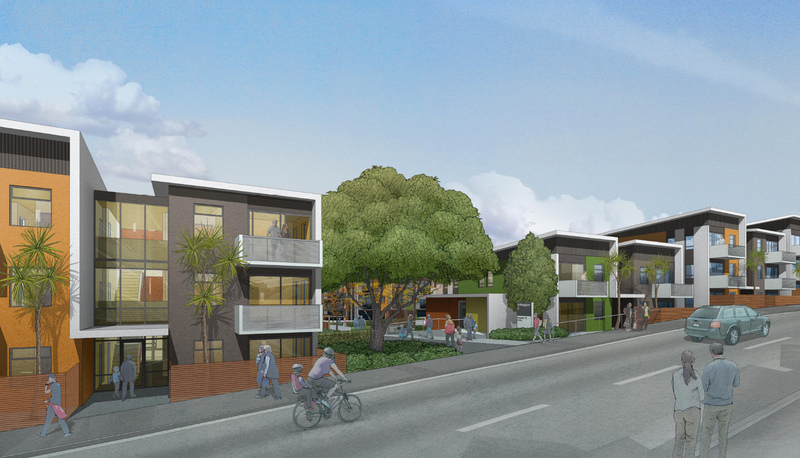 An application for resource consent for the $33 million development, on the corner of Taranaki, Hopper and Hankey streets, is expected to be lodged before the end of this year. If the application is successful, the existing 1970s Council housing will be demolished. Site preparation work on the new project could start March 2016. · Delivers affordable, sustainable, flexible accommodation that is modern, warm, safe and secure. · The 105 new apartments will provide space for 324 residents – almost double the 166 residents as of now. · The apartments have been designed as ‘modular’ residences. With minimal alterations, they can be reconfigured from single-bed apartments to multi-bedroom units that can accommodate large families, and vice-versa. · A large central communal landscaped park will be a defining feature of the site. 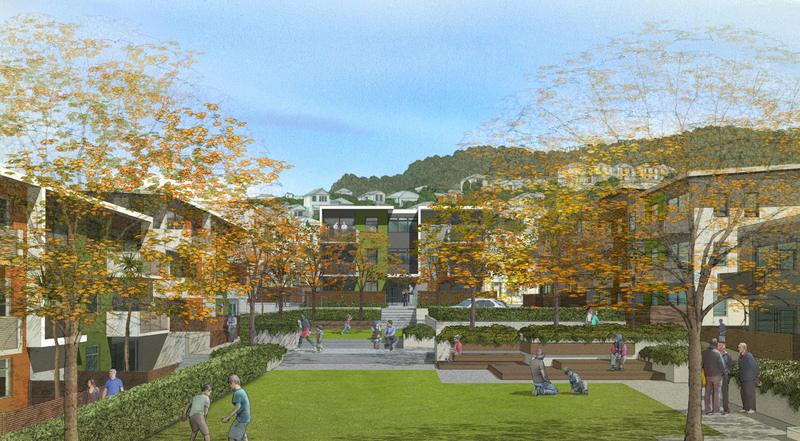 The central landscaped space will promote a sense of belonging and community for the tenants. Post-script: updated with current Arlington flats included. Has the Curse of Roger Walker now moved on to Athfield? The Curse of Roger Walker ? I wasn’t aware that he was cursed, although am reasonably certain that at times he does, perchance, utter curses. Mostly involuntary chants like “More Pinot please vicar”. I was referring to the Four Demolition Men of the Apocalypse who have taken out the Wellington Club, Perretts Corner, Centrepoint et al. Aaah. Indeed! And the greek temple on the side of Mt Vic. Forgive me father Stark, but I have sinned – I’m not actually aware of which bits were designed by who. The tall building I know is Athfield Architects, but there is a whole lot of buildings on the ground floor – and I don’t know whose are whose. What was here (still is here, actually) sort of looks like Walkers, but also could be WCC architects copying the Ath/Walker style? When I google Arlington to find out what, I keep getting rick-rolled into the Wellington apartments in Arlington, Virginia, which is a whole different kettle of fish. This land is zoned outer residental and maximum height of outer residental is 8m. The council obviously has a different set of rules when it is their own development. Council is spending a lot of public money (both its and central governments) to get these designs right, and is winning sifnificant kudos from the Architectural Fraternity (Drapes, phonelines and draughtly rangehoods withstanding) – It should share what it has created, and incentive this through with a more relaxed consent process as the design is well understood. I understand that many of the original 1950s state house deisgns were copied by the private builders of the day, and that that using governmetn plans made it much easier to get a govenrment loan…. We are indeed back – bit of a server crash there for a while, but the head honcho Philip has managed to apply the electrodes to the corpse, and get some more life out of the old thing yet. We may yet survive. Green welly, thank you for your comment. 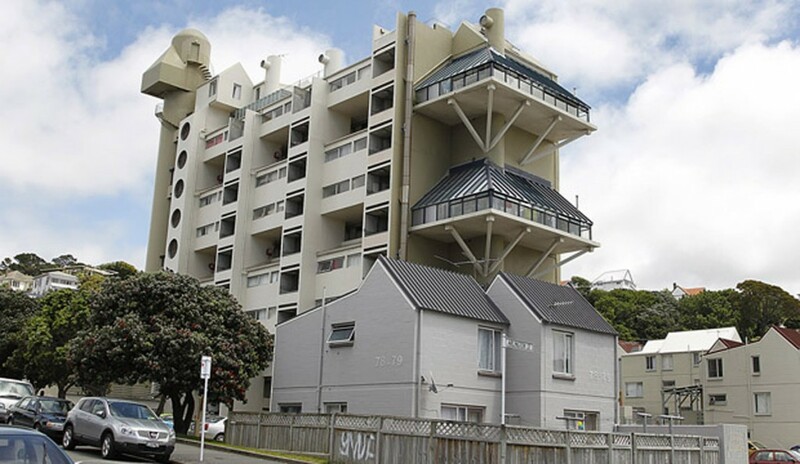 Not sure I entirely understand you – you think the Council should put these designs in the public domain? But aren’t they the designs of Novak + Middleton? So not actually the property of the council, in terms of the plans? In any case, developers seem to love to do similar, but different things each time they build. Never really known any developer to build exactly the same thing time after time – sure, the volume house builders do, but everyone else keeps doing new variations on the same wheel. *whew* Glad to be getting my (m)eth(noichthyology) fix again. Hope you told those pesky Russian spammers to отвяжись? Sea monkey – your daily fish finger is back. Glad to hear at least someone is still reading! Green Welly – ok, I see what you are getting at, and yes, I absolutely agree. But from my recent experience with getting a building priced, the exorbitant cost of building is not due to Council regs and compliance, but simply the cost of materials themselves. That’s where the real killer lies, believe me. Almost made me want to import my materials straight from China, as opposed to buying Kiwi made, but that offends my principles. But man, you pay through the nose for being patriotic. There has to be a better way.